Land in Haiti - What is a Centieme? What is a 50 par 100? Have you ever bought land in Haiti? What is a 4 centieme? What is a 50 par 100? I was on the phone with a fiend of mine in Florida who is interested in purchasing land in Hinche Haiti. I am trying to tell her the price for a '100 pa 100' in the area, and she is asking me "How many centieme is that?" What is 4 centieme lf land relative to 1 "KARO" of land in Haiti? What is the difference between piece of land that is 50 par 100 and anothe piece of land that is 4 centieme? I would advise you, if you really need an exact and accurate answer to your question, to find a notaire in Haiti who can come with the right one for you like that you will have no doubt that you have the answer you were looking for ok, that was my opinion on your concern. 1 centieme is an area equals to 129sq. 1 carreau = 12900 metres carres =1ha29. centieme is:12900Square meters divided by 100 which is equals to 129square meters. 50 par 100 is a parcel of 50' by 100'. i see three different responses here to the size of a Karo. I see 90,000m2, 9,000m2, and 1.29 Hectares. No one really answered the question. How many feet by how many feet? Or how many meters by how many meters? Hi sir, since you are looking for better information, I suppose my intervention could be useful. 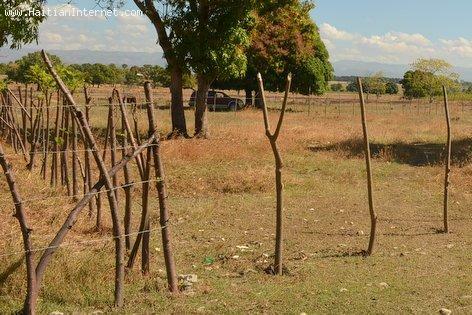 A square piece of land, so called KARO TE in Haiti, has an area of 90,000 square meters. Its perimeter is 1200 linear meters.